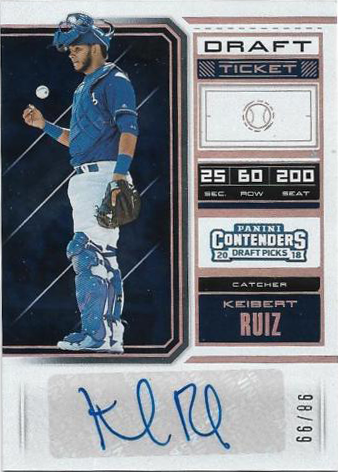 There are just two Dodger cards to chase after in the 2018 Panini Contenders Draft Picks set, and they are prospects Keibert Ruiz and DJ Peters. Check them out below. Go here for a complete checklist. 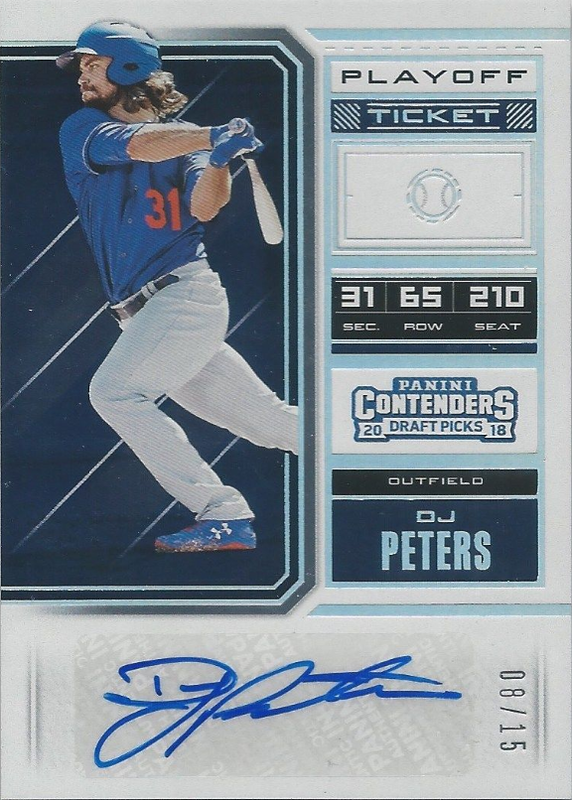 As you know, this set focuses on mainly prep and college level ballplayers -- some of whom have been drafted and other who are likely to be soon. So, it's very possible that some of the kids in the set will be a Dodger soon. In meantime, there are two solid prospects available to chase after. 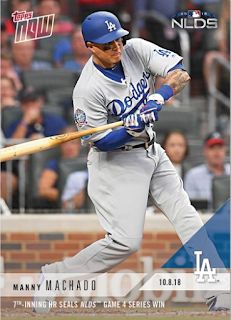 Blog Kiosk: 10/9/2018 - Dodgers Links - Eight More Victories! "Tonight was actually pretty cool, to see a lot of those guys we've acquired over the last few months of the season come through," said general manager Farhan Zaidi. "It's more special than I can even honestly say, because I didn't expect this," said Freese, who was acquired from the Pirates on Aug. 31. "I expected to finish in fifth and ride out this year, but to end up with not only a playoff contender but an organization like this is incredible. You get to be around these beasts in an organization that wants to go after it. It's a lot of fun." This Day in Dodgers History: In 1949 the Ebbets Field lights were turned on during the ninth inning of the Dodgers 10-6 loss to the Yankees in Game 5 of the World Series; making it the first time a World Series game had been played under artificial lights. Happy Birthday, Walter O'Malley, Al Maul, Bill Reidy, Rube Marquard, Gordon Slade, Jim Winford & Álex Taveras! Welcome to the Blue, Chris Nunn! Welcome to the Blue, Josh Sborz! 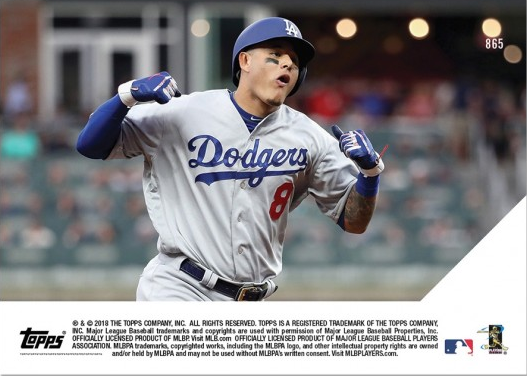 Blog Kiosk: 4/18/2019 - Dodgers Links - Sweep! 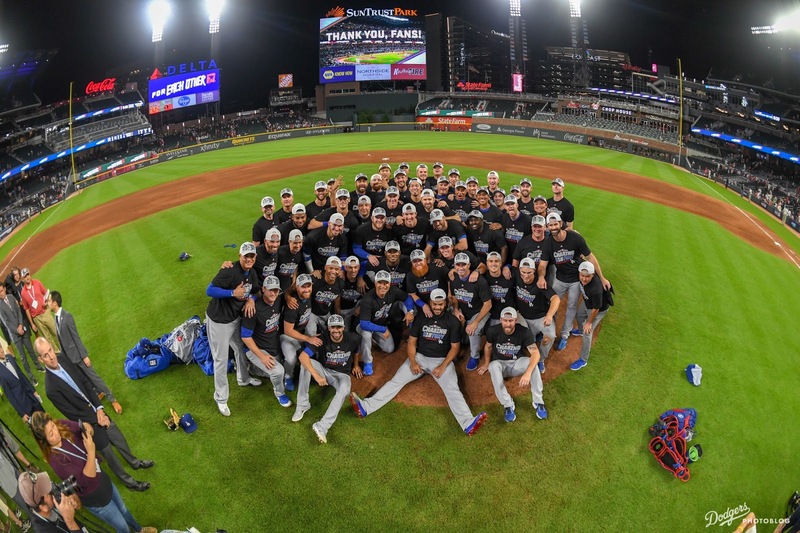 Blog Kiosk: 4/17/2019 - Dodgers Links - "That's Called a Winning Streak"